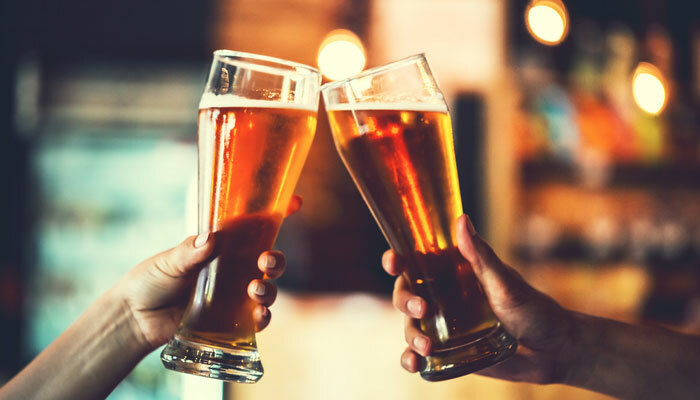 Let’s be honest, you’re not going to get a big nutritional boost from drinking beer, but you’ll probably still drink it anyway. UnityPoint Health dietitian, Tricia Leininger, says that’s OK. However, she wants to arm you with a few tips, so you make better decisions when ordering from the bartender. Leininger says the Dietary Guidelines for Americans includes up to one serving a day of alcohol for women and two servings a day for men. A serving is defined as 12 ounces of beer that is five percent alcohol by volume (ABV). Leininger says if you look at the beer nutrition facts, most domestic beers contain about five percent ABV. “Another option is to select a non-alcoholic beer, which is less than 0.5 percent ABV per 12 ounce serving. You would have to consume 10 non-alcoholic beers to equal the amount of alcohol in one regular domestic beer,” Leininger says. She adds you should be aware of beers with higher alcohol content. Specialty brewer beers may contain seven percent ABV, thus a serving size is a smaller eight ounces. “If you desire a low-carb beer to save on calories, look for wording indicating light beer or calories under 120,” Leininger says. How Much Sugar in Beer? “Sugar content in beer is minimal, if at all. The fermentation of the yeast turns the sugars into alcohol,” Leininger says. You might be wondering about those beers boasting added flavors of orange, lemon, lime, grapefruit or even cookie dough. “Specialty flavored beers might have some added calories from sugar, depending on the process used to flavor. However, calorie contribution is generally a small amount,” Leininger says. Leininger says, unfortunately, there aren’t a ton of reasons to drink beer for health. She says the most notable beer benefit is alcohol may increase your HDL or good cholesterol levels. The dangers of drinking beer come into the picture when we talk about excessive drinking or binge drinking. Plus, any excessive calorie intake compared to calories burned will result in weight gain. “Excess calories from carbohydrate, protein, fat or alcohol will result in those excess calories being stored as body fat and contribute to weight gain,” Leininger says. She notes that drinking five light beers can add up to 500 calories or more. Also, Leininger notes drinking often results in hunger and a tendency to eat more food during or after alcohol consumption. “Pizza establishments or all night restaurants are aware of serving the late night crowd after the bars close,” Leininger says. If you have any questions about your alcohol intake, reach out and talk to your primary care provider. How to Know If Your Diet's Gone Too Far?